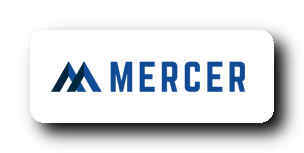 Shares of Mercer International, a maker of bleached softwood kraft pulp used in paper products and biofuel, were turbocharged today when the S&P Dow Jones Indices announced that the stock will replace Green Dot stock on the S&P SmallCap 600 index before market open on Friday, Jan. 18. Mercer stock was up 18.7% on the news as of 2:30 p.m. EST on Wednesday. What does the one event have to do with the other? Simply put, in order to accurately reflect the new composition of the S&P SmallCap 600 index, a lot of mutual funds and exchange-traded funds that track the performance of the index will soon have to purchase a small amount of Mercer International stock. Momentum investors today are trying to get ahead of those changes in fund and ETF purchases by buying Mercer stock themselves. Are you at the Truck Loggers Convention? What’s the largest gathering of the forestry community in western Canada? The annual B.C. Council of Forest Industries (COFI) Convention. “Each year, this event brings together industry executives, managers, suppliers, businesses and government and First Nations leaders, to discuss key issues and opportunities in the B.C. forest industry,” COFI’s president and CEO Susan Yurkovich told CFI. This year’s convention is no different, although it has a new location: the new Parq Vancouver Hotel and Convention Centre. From April 3-5, attendees will hear updates on markets, policy, trade and technology from several speakers, panellists and presenters. In the past year, lumber prices reached an all-time high and then experienced a precipitous drop. …At the conference, B.C.’s forestry CEOs will share their views on the state of the industry during the popular CEO panel. 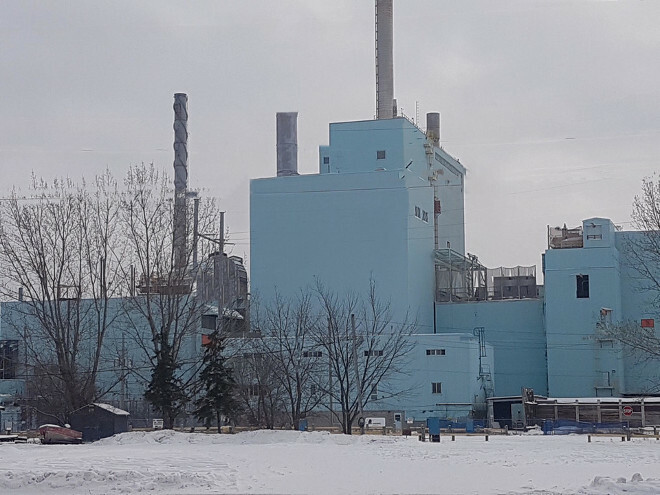 FORT FRANCES, ON — Repap Resources Group, an unincorporated private six-member investment group, has had preliminary discussions with Resolute Forest Products about its proposed purchase of the idled pulp and paper mill in Fort Frances. No formal purchase offer has been submitted as yet. Seth Kursman, a vice-president at Resolute, told Tbnewswatch his company does not negotiate through the media or the public, adding only that Resolute continues to evaluate “options” for its Fort Frances property. Repap spokesperson Sean Twomey said he is “cautiously optimistic” that he and his partners can achieve “a win-win transaction” with Resolute. It’s the first public comment the company has made since informing the town of Fort Frances about its plans in late 2018. Scott and La Tysha Mitchell couldn’t find a house they could afford to buy, so they decided to build one with their bare hands in rural Utah, using a loan from the Department of Agriculture. …The Mitchells are working with Self-Help Homes, a Utah-based nonprofit that pays for construction materials and subcontractors on their behalf, with the expectation that the USDA will reimburse that money through the federal loan of about $324,000 that the couple has taken out. …The Mitchells are among the hundreds of thousands of families in rural America whose homes and prospective homes are being threatened by the closure of the USDA. Stora Enso has completed co-determination negotiations on possible temporary layoffs with employees at its Oulu Mill in Finland. As a result of the negotiations, Stora Enso can, if needed, temporarily lay off employees at the mill, excluding the personnel at its adjacent Oulu pulp mill, for a maximum of 90 days during the first half of 2019. “Basically, there are 500 employees in the scope of the temporary layoffs, which can be used as a precautionary measure to adapt production to possible fluctuations in market demand,” a Stora spokesperson told PrintWeek. …The co-determination negotiations were initiated in November as the business looked to reduce its production in response to weak market conditions for woodfree papers, while prices of the most important raw materials for paper production simultaneously continued to rise. An external fire was put out on site at the Catalyst Crofton pulp mill Monday afternoon before it got out of control. Graham Kissack, vice president of Corporate Social Responsibility for Catalyst Paper Corporation, explained a belt burned off a piece of equipment in the crumb pulp system. “The fire was small and was extinguished quickly by operations,” he noted. …Crofton Fire Department was dispatched, but told to stand down before arriving at the mill, according to a member of the mill’s security personnel. Builders and designers seeking lumber certified by the Forest Stewardship Council can now turn to a new database for help in finding specific products and wood species. The FSC Wood Finder allows users to search by the type of product, its availability, and its location in the U.S. and Canada, FSC Communications Director Brad Kahn said in a post at Trim Tab, the website of the International Living Future Institute. Although there are hundreds of companies offering FSC-certified wood products, he said, it’s not always easy for builders to find exactly what they need, especially if they need it right away. …Product types listed in the database include lumber, panels, millwork, engineered wood products, pressure-treated wood, and windows and doors. BOULDER, COLO. — Brock USA, the leading manufacturer of shock pads for artificial turf fields, has released the first affordable and durable organic replacement for crumb rubber infill for artificial turf – aptly named “BrockFILL™.” …Traditionally, the infill has consisted of crumb rubber … and sand, but crumb rubber infill has been the subject of numerous investigations and news articles related to human health and safety as well as environmental concerns. For this reason, companies have tried to find alternatives. The representatives from Brock USA believe they have found the replacement. …BrockFILL™ utilizes a tried and true, safe raw material that has been used by mankind for centuries: wood. 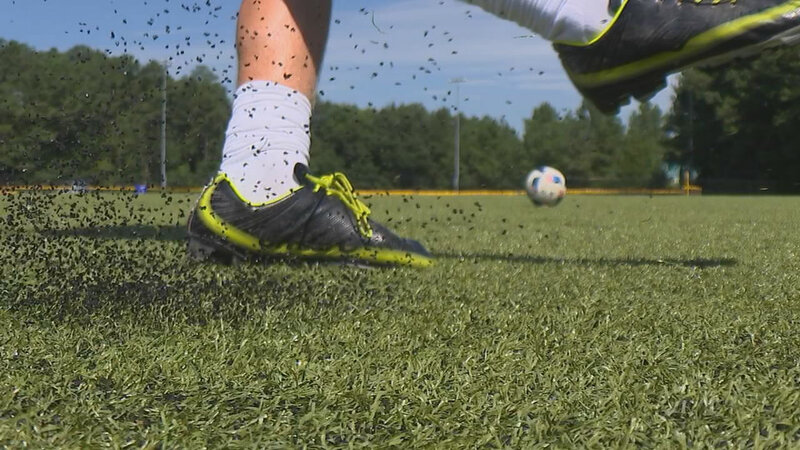 BrockFILL™ is an engineered wood particle infill that  outperforms other artificial turf infills  during rigorous  durability, longevity, performance, abrasion, and safety  testing. 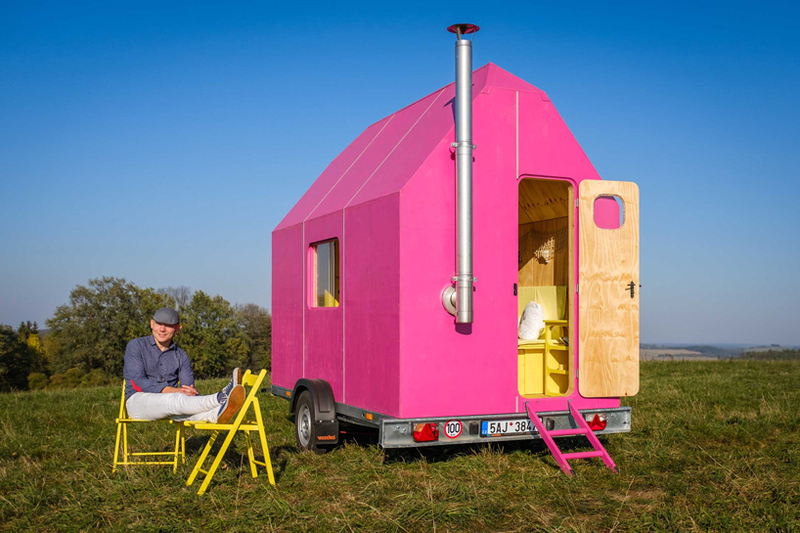 ..Environmentally, it’s a win-win for the industry. BrockFILL™ is sourced and made in the USA from  sustainable tree farming. Washington State University’s School of Design and Construction will host a community presentation and panel discussion on integrated design and construction; cross-laminated timber; and the future of architectural design, advanced manufacturing, and construction in the Spokane area. …“This will be an exciting opportunity to bring together key players in the built environment from the community, industry and academia,” said Julia Day, director of WSU’s Integrated Design and Construction Laboratory and an assistant professor in the School of Design and Construction. …Speakers at the event will include internationally recognized cross-laminated timber experts, Michael Green of Michael Green Architects (MGA); Eric Karsh and Robert Malczyk of Equilibrium; and Michael Frank of McKinstry. 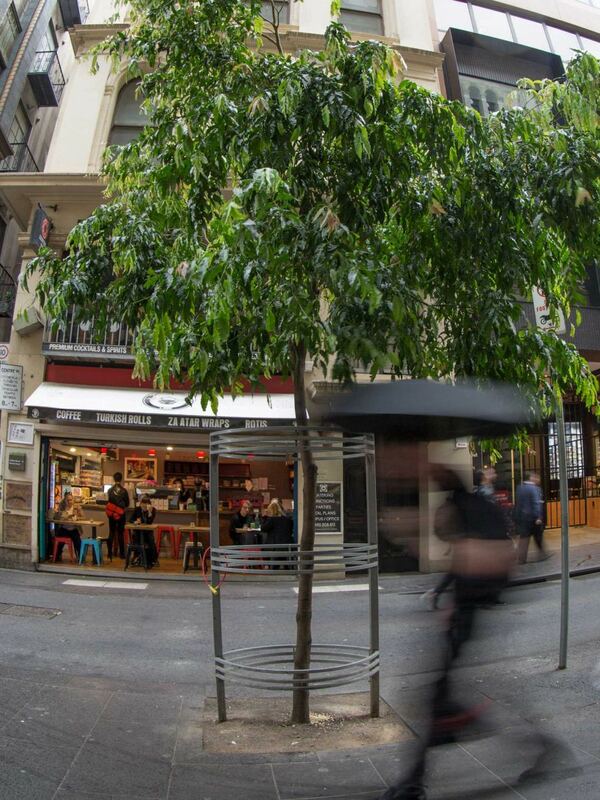 Both Michael Green Architects and Equilibrium are now part of the Katerra ecosystem. Speakers from CAL FIRE, Siskiyou County Office of Emergency Services, University of California Division of Agriculture and Natural Resources, and UC Berkeley Cooperative Extension discussed these questions and gave a preview of new recommendations at a recent workshop organized by the Fire Safe Council of Siskiyou County. “Protecting Your Home and Land from Wildfire: Defensible Space and Construction, to Improve Your Odds of Survival” was a free workshop attended by about 60 people in Yreka. …Windows are vulnerable, especially the glass itself, but the frame can also burn. Multi-pane windows, especially if at least one of the panes is tempered glass, are best. …Decks should have a non-combustible zone around and under them. …Roofs are vulnerable spots, and can be ignited by pine needles, leaves and other flammable debris, even if they have a Class A fire rating… That is why overhanging branches are a hazard – they drop debris on the roof. WASHINGTON — With growing interest in mass timber and tall wood buildings, WoodWorks – Wood Products Council has partnered with the Chicago Regional Council of Carpenters Apprentice and Training Program to provide mass timber installer training to construction professionals in the Greater Chicago area. 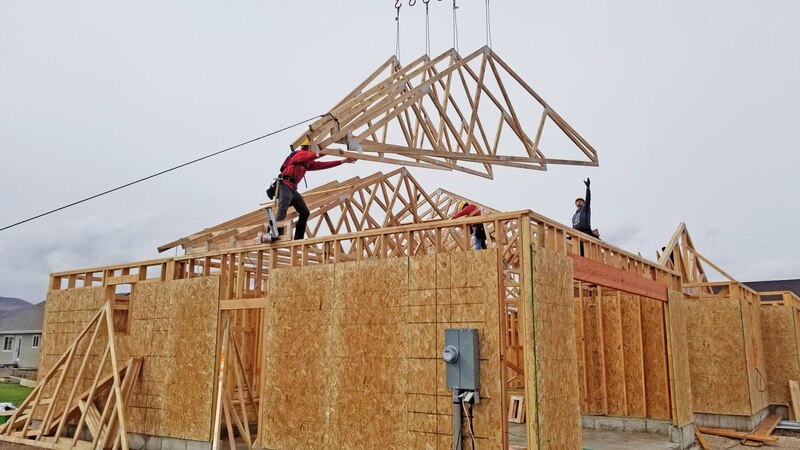 Intended to serve as a model for training across the U.S., the program will help ensure the availability of experienced construction professionals to meet increasing demand for buildings made from cross-laminated timber and other mass timber products. Beginning in April 2019, installer training workshops will be offered through the Chicago Regional Council of Carpenters’ Apprentice and Training Program Center in Elk Grove Village, Illinois. While it was one of the first and most common materials used to make things… wood has been on the outs for more than a century. …But that could all be changing in light of recent code changes related to the use of wooden building materials in larger buildings. …Drexel College of Engineering Professor Abi Aghayere, PhD, who co-authored a definitive text on wood construction in 2017, suggests that momentum has steadily been building for a return to the classic building material. However, building with wood today will likely look very little like it did in its heyday. He recently shed some light on why the changes are happening now and what they’ll mean for building construction. …”Even with the code revisions we aren’t likely to see buildings that are entirely wood, because it takes a mix of materials to make them resilient to a variety of environmental stresses”. Scientists at Empa have used cellulose to 3D print an ear. …The cellulose that the scientists used to 3D print the ear comes from wood. The researchers are currently equipping cellulose with additional functionalities to 3D print implants for cartilage diseases. …Michael Hausmann, an Empa researcher, removes an object with a human ear shape from the 3D printer, and then explains: “In viscous state cellulose nanocrystals can easily be shaped together with other biopolymers into complex 3-dimensional structures using a 3D printer, such as the Bioplotter.” …At this point, the 3D printed ear is completely and solely made of a biopolymer and cellulose nanocrystals. However, the goal is to incorporate both therapeutic and human cells into the base structure in order to create biomedical implants. A new study is underway to find out how to integrate chondrocytes into the scaffold to yield cartilage tissue. LIGNIA Wood Company, the modified timber manufacturer, has signed a distribution agreement with a leading UK timber distributor – Timber Connection. The exclusive five-year agreement will see Timber Connection distributing LIGNIA’s products across the UK and the Republic of Ireland from its 150,000ft2 base in Kirkby, near Liverpool. LIGNIA is a natural, modified FSC-certified softwood timber designed to match, and in some cases exceeds hardwoods such as European oak and Ipe in performance. The company’s manufacturing process is also designed to enhance the wood to include greater durability, with a 50-year warranty offered against rot and decay in above-ground applications, plus improved performance for shrinkage and swelling. The product is aimed at both indoor and outdoor applications, including general joinery such as cladding, flooring and decking, as well as for use in windows and doors. TTJ’s Wood and Wellness Conference will be an opportunity for wood industry sectors and specifi ers/construction companies to learn more about timber’s potential in the health and well-being megatrend. Stephen Powney reports. 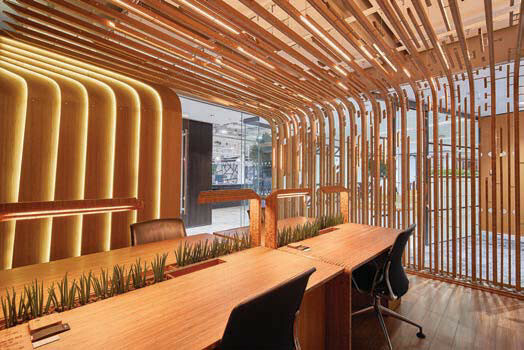 Changes in the construction and building design industries are opening up new potential for the specification of wood. The health and well-being megatrend is set to be one of the biggest factors in coming years, with a renewed focus on natural material use in homes, workplaces, healthcare facilities, education and a host of other environments. 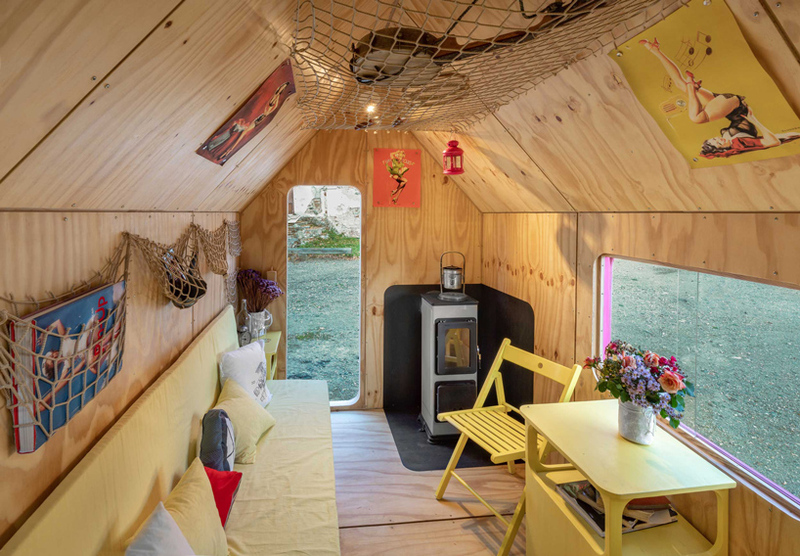 How wood fits into this will be explored in TTJ’s Wood and Wellness Conference in central London on February 13, bringing together both the wood industries and construction/design/specification sectors at the Hilton London Tower Bridge. 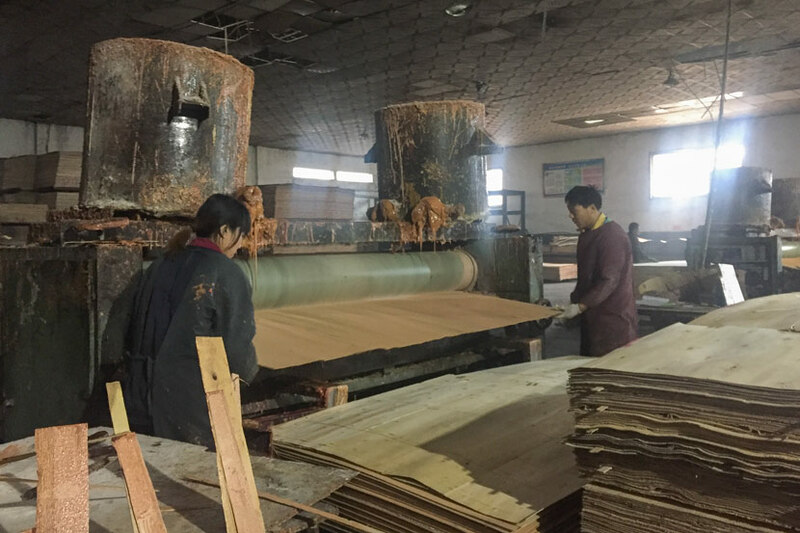 SHANDONG, East China — Even when Europeans buy certified sustainable wood, the environment pays the price. …[In] the factory of Shandong Xingang Group in the city of Linyi, few employees wear masks, despite signs saying they are required. Throughout the hall lie boxes adorned with tree-shaped logos, which should mean that the wood inside is certified by the Forest Stewardship Council (FSC) to have been produced under good labor conditions and come from sustainable forests. 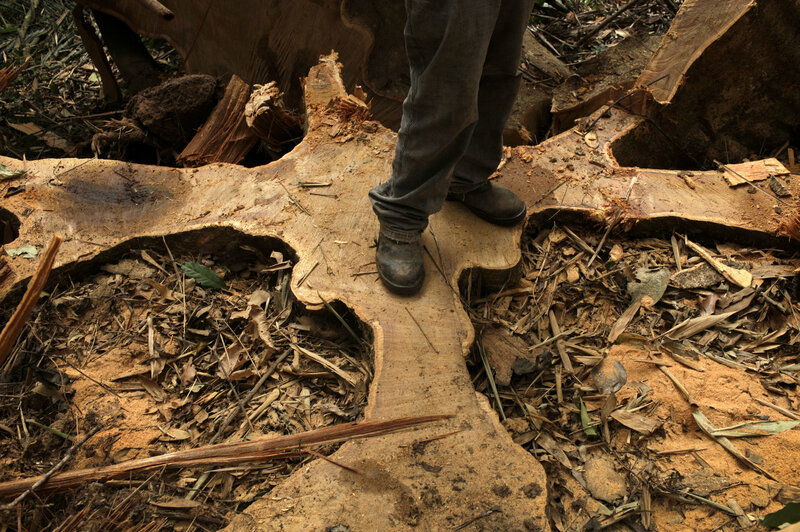 But like so much timber that passes through China, their sourcing is unclear and likely anything but sustainable. “These are poplar and eucalyptus cores, but they’re not FSC-accredited,” a company manager explained, standing in front of a box sporting the FSC logo. “Everyone does it. We’re just following suit because of the market.” …However, an investigation by Sixth Tone shows that, in China, the logo has become… a tool for “greenwashing” — allowing illegally harvested timber to …enter global markets. 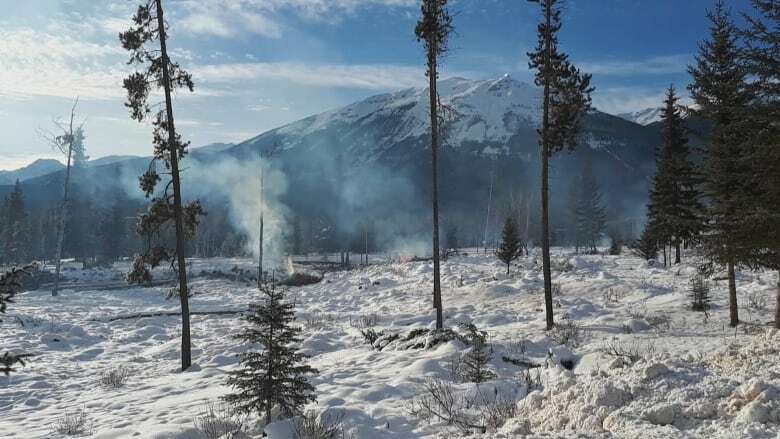 Forester and longtime Burns Lake resident Miles Fuller warned a recent village council meeting that the community is lucky no one died in last summer’s wildfires. …Fuel, and fuel mitigation was his other main reason for speaking to the council and he said not enough is being done to reduce the fuel that disastrous fires feed on. Frank Varga, General Manager of the Burns Lake Community Forest also joined the presentation and provided powerpoint images to illustrate Fuller’s points. …In his 40 years of experience in this area, he has seen the ecosystem treated as retention-based and that has heightened its susceptibility to fires and the fires’ severity. If you’ve been to the Jasper area in the last month, you might have seen smoke in the air. Fear not, say Jasper fire officials, because the smoke is usually from controlled burns to help prevent wildfires. Dead or dying trees are being removed in both the Jasper townsite as well as from some areas within Jasper National Park. The trees being removed are often damaged by pine beetles and the dry bark can present a risk if a wildfire ever happens. “This type of work has to be done in the winter. We need snow cover and we need frozen ground. Otherwise, the impact to the ground is too significant,” said Jasper fire chief Greg Van Tighem. …Van Tighem said eliminating the dead wood makes it easier to battle any future wildfires. When the forest is thinned, he explained, the wildfire stays on the ground rather than the treetops. Acting Environmental Protection Agency Administrator Andrew Wheeler told senators Wednesday that “the biggest issue with wildfires is forest management … not drought”. He made the claim during his confirmation hearing to become the agency’s permanent head. A federal climate report released late last year outlined the effects of climate change on wildfires, and found with medium confidence that human-caused climate change has contributed to forest fires in Alaska. The report also predicted a continued increase in the number of forest fires due to climate change. …Experts say forest management is a factor, but not the sole cause of wildfires, especially in non-forested areas of California that burned last year. Rising temperatures also contribute to the lengthening of the wildfire season, in part by worsening droughts. PORTLAND, Ore. — Will the government shutdown mean increased wildfire risk here in the Pacific Northwest? A firefighting training session has already been canceled while other courses have been postponed. However, a lot of wildfire training is going on as-planned in Oregon. When a wildfire breaks out, federal agencies often hire privately contracted firefighters to do a lot of the work. And because those contract crews are not dependent on federal funding, they are training as usual right now. As for state agencies? 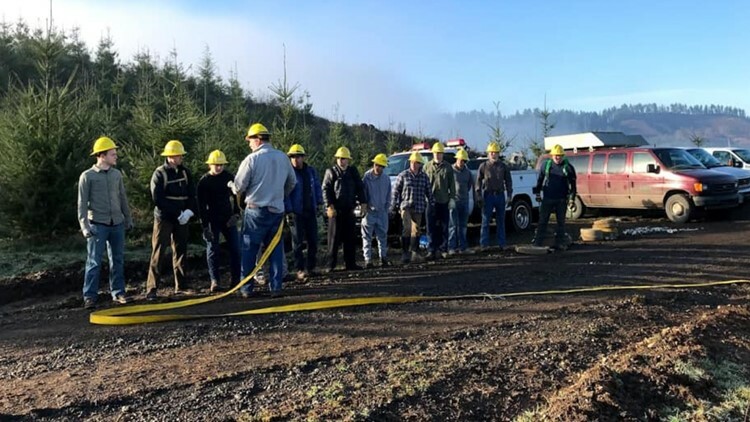 The Oregon Department of Forestry said so far three training sessions have been canceled due to the shutdown. But fire managers are still attending state-sponsored classes. Global variations in plant growth have been attributed to interactions between temperature, precipitation, and radiation budgets, rather than to a single driver, as suggested by Liebig’s law of the minimum. Basic physiological processes such as photosynthesis and cell division are tempered where plant-available energy and water are low. …Understanding this interplay is thus essential to anticipate climate change impacts on the combined biogeochemical and energy cycles and to quantify their feedbacks within the climate system. …This large-scale study demonstrates that the relatively mild shift in baseline climate over the 20th century has already triggered observable changes in the climate response of temperate and boreal tree growth. We find that water availability has replaced energy as the dominant limiting factor across large portions of the boreal zone. …This trend is projected to continue. BOISE, IDAHO Idaho’s collaborative efforts with federal agencies, conservation groups, industries and residents have put Idaho out front in tackling tough environmental problems involving forests, rangelands, water uses and other issues, Gov. Brad Little said Wednesday. The 64-year-old Republican sworn into office earlier this month shocked some at the Idaho Environmental Forum by declaring that climate change is real and will have to be dealt with. …Little said the state has made good progress in working with agencies in the U.S. Department of Interior and U.S. Department of Agriculture. 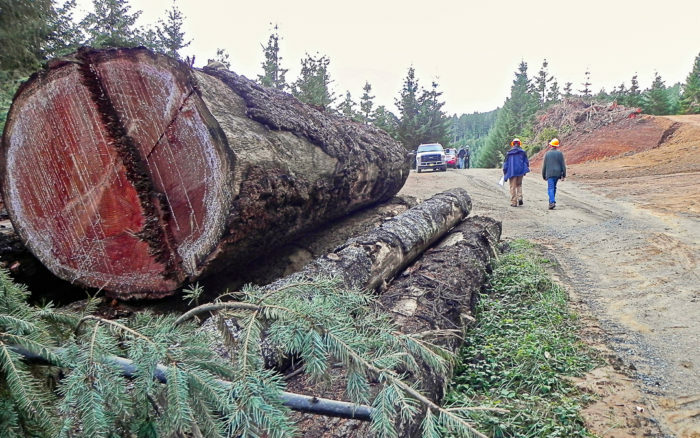 …He cited a program called the Good Neighbor Authority that has the Idaho Department of Lands helping the Forest Service on federal timber sales and restoration projects. Last month, Little signed… a Shared Stewardship agreement with the Agriculture Department they said will help protect national forests in Idaho from destructive wildfires through logging and restoration work.